In addition to product development we offer both indoor and outdoor longevity tests and a complete line of evaluation and benchmarking studies. In 2014 Permalite started to look for a new home. 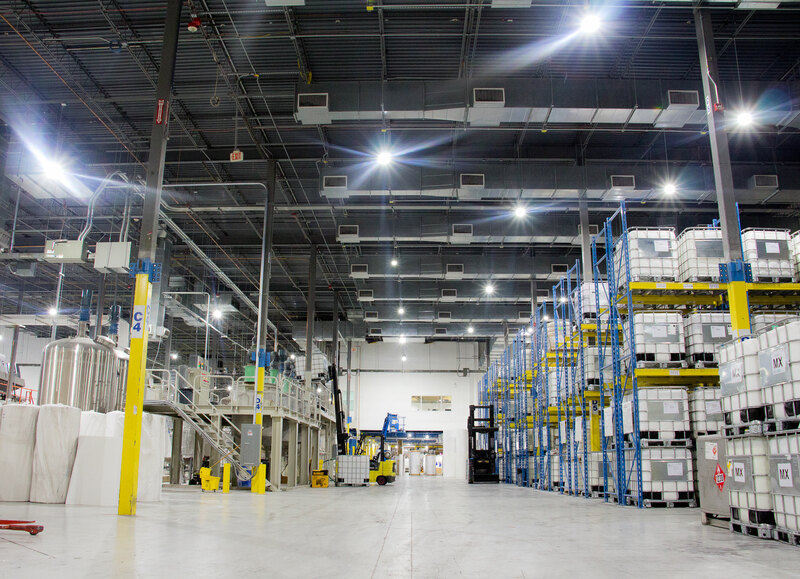 After deciding to move to Austin, Texas, Permalite designed and developed a state of the art coating facility that would allow us to better service our existing customer base and grow exponentially. The new coating line was just the beginning. state of the art technology to ensure the development of high-quality, repeatable new products. A brand new, high capacity mixing and storage farm allows us to quickly scale up production in a controlled environment. With a maximum coating width of 76” efficiency is the name of the game. Utilizing three types of coating head technology we can apply multiple coatings, or multiple layers, in a single pass. Our coating head inventory consists of Rod, Curtain, and Comma coaters. Interchangeable head technology allows us to maximize coating efficiencies and deliver cost effective products. promoting your own brand we can help. 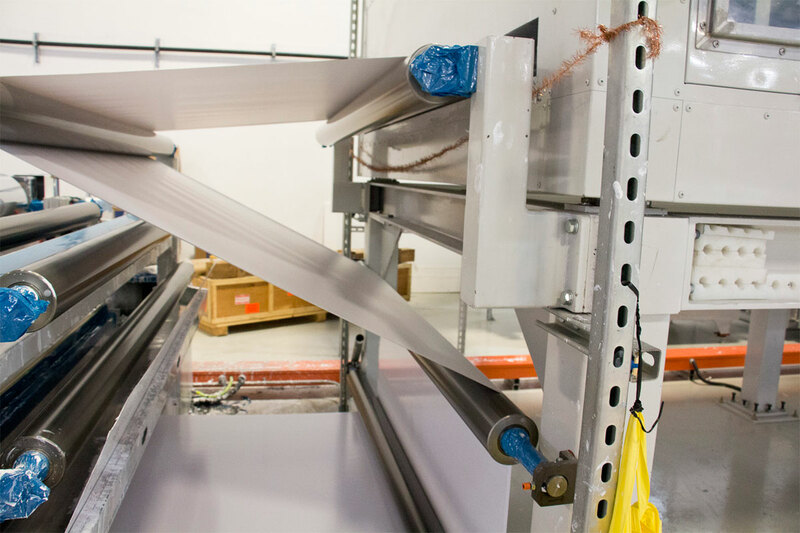 Multiple converting and sheeting lines give us the flexibility to produce your complete product line, from small sheet sizes up to 76” finished rolls. Flexible converting lines allow us too efficiently and cost effectively convert products to meet your short and long term needs. Our customized label and packaging programs are built to help you build and reinforce your brand message. Label and packing options range from plain white non-descript boxes to pre-printed boxes, inserts, and labels. Sample kit and swatch book assembly is available to support your sales and marketing efforts. 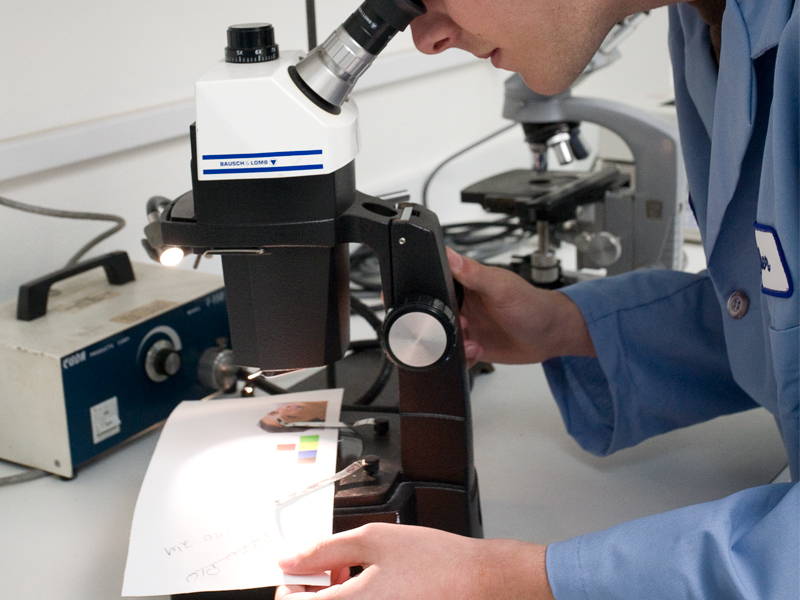 Our fully equipped lab allows us to quickly and efficiently bring products to market. We can customize an existing formulation to improve performance and develop new coatings based on specific market requirements. In addition to product development we offer both indoor and outdoor longevity tests and a complete line of evaluation and bench-marking studies. Quality control and assurance is performed at multiple levels throughout the manufacturing process. Incoming substrates are inspected and checked against established benchmarks. Raw chemistry is checked against COA’s and set standards. 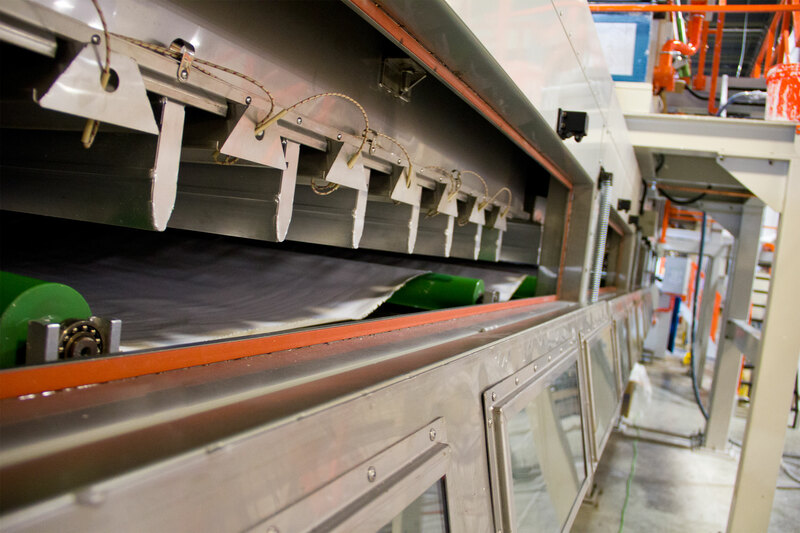 Throughout the coating run material is checked for both physical and performance consistency. A final quality control inspection takes place at each packaging station prior to any product being sealed. This will insure that every box of material meets your final approval.